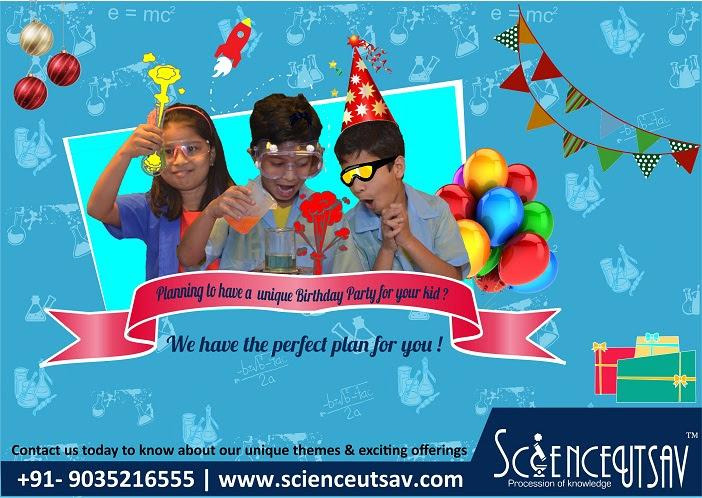 Science Utsav organises parties that are Edutainment Parties which is a bit of Education along with Entertainment where Kids enjoy with amazing hands on activities. Science Birthday Party has spectacular Science show for 45mins and Hands on activities for all the kids present in the party for 30mins. Among the three Hands On, one of which will be a Make and Take Home Return Gift. The idea is to make Science fun for the kids. and other innovative pedagogy techniques. We believe that “practicality is everything”! Contact us to discuss how we can make your Birthday Party Unique!